I wasn't planning on covering this story over here, but I keep getting people asking me on Twitter about why NaturalNews.com was deindexed by Google. People are saying it was because of "fake news" but that is not the case. @rustybrick any ideas on the Natural News deindexation?! Google removing fake news now in action? I covered the story yesterday afternoon at Search Engine Land where Google told us they are violating Google's webmaster guidelines. Fake news is NOT a violation of Google's guidelines. Yes, Google may drop AdSense publishers from making money with fake news or they may have tweaked their news algorithms but they would not delist a site for fake news. Why not delist a site for fake news? Well, some people like these sites and they want to read and be part of a community around this stuff. It might be known as alternative facts or whatever. I don't judge or care what people read and Google wants you to find content on these sites when you search for those topics. But it doesn't deindex, at least today, sites for fake news or sites for being pro-Trump as the site said after it was deindexed. So what was the issue if not fake news? Who knows, it could be tons of things. The site claimed they did not get a notification in the Google Search Console. I am not sure I believe that but it doesn't matter - Google does penalize sites without notifying them of the penalty in Google Search Console often enough. The sneaky mobile redirects penalty from 2015. Could it be that? Possibly but only Google knows. Forum discussion at Twitter & Google Web Search Help. 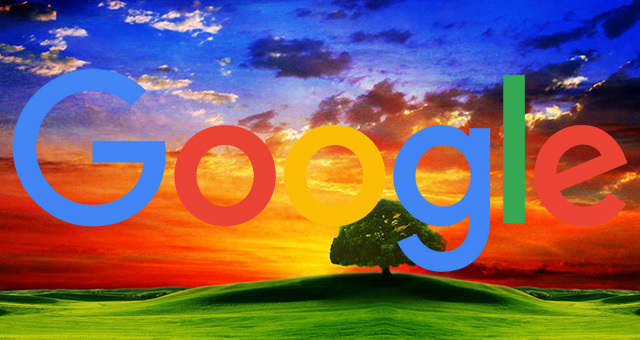 UPDATE: John Mueller from Google posted in another Google Webmaster Help thread that the site was due to sneaky mobile redirects and also added on Twitter that site was notified via Google Search Console. Hi! I work with the Google Search team. We're seeing a bit of confusion & incorrect stories circulating about what's happening here, so just to be super clear -- Natural News is using a sneaky mobile redirect, which is prohibited by our webmaster guidelines (there's a bit about this kind of issue at https://webmasters.googleblog.com/2015/10/detect-and-get-rid-of-unwanted-sneaky.html ). These redirects aren't always easy to reproduce, they're sometimes in widgets or served by ad networks, and can target specific devices, browsers, or user locations. When we last checked, there was one on http://blogs. naturalnews. com/bentonite-clay-a-natural-medicine-cabinet-must-have/ . As soon as this is cleaned up, the site can submit a reconsideration request through Search Console, and once that's reviewed things will return to normal. No action has been taken based on the editorial content of this site. @HealthRanger I'd recommend checking your Search Console account for information on what was found. https://t.co/NPZwEmBjV7 can help too. Update 2: Here is an SEO view of what went wrong in more detail.